One of the biggest challenges that online business owners, specifically service providers face is trying to have clear goals, plan, and a perfect step-by-step blueprint to succeed. Whatever the services you want to offer, I believe one of my expert friends will provide you with the best tips to succeed. I want to say a BIG Thank You to all these online business experts who were so kind and send me their best advice to share it with you! Looking back to 2018, what are the 1 or 2 most important things, related to your industry, that you think helped you to achieve your goals or made you shift everything? What are your predictions for online businesses in 2019? Specifically related to your industry, what are the 1 or 2 things you think will have a substantial impact on the future? Related to your skills and your predictions, what are your main goals for 2019 and how do you plan to tackle them? If someone comes to you today and wants to do what you are doing in 2019. What would be your best tips for this person to succeed? I arranged their answers by category so you can go where you want to explore! Digital Marketing and strategy are the foundations of any business. I’m a digital marketing strategist specialised in Sales Funnels with Clickfunnels and tech is my sweet spot; I help second career professionals building the business of their dreams by taking over all the tech and strategy so they can focus on what they love to do. Are strategy and marketing in your mind? Let’s see how my five expert’s friends below can help you! Naima is an expert a branding messaging and tech that makes her a Brand Architect who loves co-creating profitable digital assets. She is as well the Divi Queen! Doing things that don’t scale — like having virtual coffee with FB group members. It allowed her to better understand how to serve her audience and expanded her referral network exponentially. Another thing that helped Naima, was joining a peer mastermind group. This is a complete game changer that helped her grow as a business owner and as an individual. In 2019 Naima thinks personal brands will be more important than ever as business owners explore different business models and multiple streams of income. For branding and digital assets, in particular, customers will no longer be ok with shoddy, ugly, and half baked products. Clients are now much more savvy and expect polished products and superior customer service. Business owners must look the part and have their systems in place to attract and retain high-value clients. Naima’s focus for 2019 is to streamline the “dream-to-done” journey for her audience, through her programs, templates and accountability groups. She is piloting a new type of program that takes away the burden of learning and replacing it with done-for-you, easy to customize digital assets. She believes this, together with accountability and 1:1 differentiated support, is the answer to ever decreasing course completion rates. Naima’s advice for someone who wants to be a brand architect is to build it before you change your mind. The only way people vote in online business is with their credit card. So give them a “buy button” to vote instead of endless surveys and engagement campaigns. 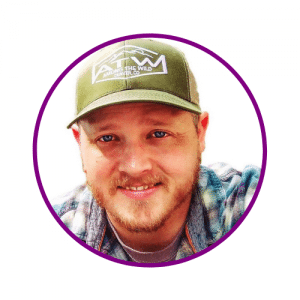 Mitch works with world-changing Entrepreneurs helping them with marketing strategy, implementation, staying sane and holding onto the belief in themselves and their vision. In 2018 Mitch focused on how to serve and add value to others which allowed him to fully be in his area of expertise. He believes when you aren’t focusing on scarcity or monetary decisions you function at your best. This creates incredible testimonies of your work and talents, which helps increase business. Mitch predicts that in 2019, those who offer more personalized connections will lead the way. With so much information at our fingertips, we don’t need more courses, we need more connection. Clients need someone to understand their business, struggles, and someone to guide them through. For 2019, Mitch plans to continue offering a more of a holistic approach by combining client mental and emotional needs with strategy and marketing. Partnering in client success and helping clients actualize their visions. He wants to be vested in the client’s complete process and seek potential gaps in the overall plan. Mitch tells people who want to do this work to remember it’s OK to change your mind along the way. There’s a lot to learn and to discover about what you’d like to offer. Most entrepreneurs can function at a high level in many areas. Going through the process is key to identifying what brings you life and gives you energy. Some areas are draining, even though it’s what you thought you wanted to do. Go through the process, learn along the way, and volunteer to help on projects and collaborations. Experience gained by working with others is priceless. Robin helps women over 40 match their dreams to their abilities so they can step out, shine, and share their gifts with the world. Robin is a purple wonder! In a world of constant algorithm changes, business owners may feel they can’t adjust quickly enough to stay on top of everything. However, change can be an opportunity to explore new directions and provide a chance to be different. Robin says that algorithms don’t create or maintain relationships. Connecting with people by personal messages, checking in and catching up are important ways to running a business that feels human. 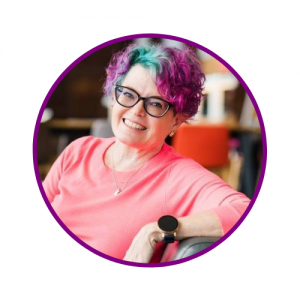 When dealing with connection issues, Robin realized that one of her superpowers is helping women get past overwhelm to focus on the real joy of their businesses. Robin believes online business will be seeing more people over the age of 40. Women especially, are seeking the flexibility and creativity of building online businesses. This creates opportunity for people who are ready to support business owners with services and products that specifically speak to them. Companies that share the vision of growing online businesses owned by women will be successful. Women entrepreneurs are innovators and see life through a different lens. They are juggling issues of aging parents, children who are struggling with college debt while trying to find work, healthcare, and paying for retirement. Because of their unique point of view and creativity, they may be the ones to develop solutions to these problems. Robin’s goal is to connect and help women entrepreneurs over the age of 40 who may think they are too old to make a shift into online business. These are smart, driven women who have knowledge, skills, and abilities to get things done. Robin can help them find the best way to leverage their talents online to make an impact and live the life they want. 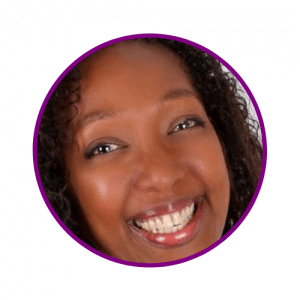 Robin is an experienced entrepreneur and coach who made the transition into the online space and helps others do the same every day. She plans to use her digital marketing skills to share her story and the stories of women she has helped who are ready to make a difference. She suggests listening to yourself and your target market and develop an offer that solves a problem. Keep learning and be open to pivoting offers based on what your audience needs and to the things that light you up. Christina works with small businesses. She provides a practical approach to effective marketing. She has a cracking sense for design as well! In 2018, Christina offered an entry-point monthly product. Previously, her recurring revenue was a higher price point and her entry-level products were one and done. She relied on upselling into the monthly product after the entry-level product so her monthly revenue depended on a handful of clients and consistent sales. With a lower priced monthly product, she has more clients per month and doesn’t need to rely only on selling one-time products to reach revenue goals. Another key for 2018 was a coach who helped her with her sales script. She sold her highest ticket and looks forward to selling more in 2019. For 2019, Christina says that live video is important for developing client relationships. Clients crave recognition and customized services which requires interacting with them and letting them know you understand them. Live video, video conference calls, and engagement on social media all play a HUGE role in communicating authentic care and concern about customer satisfaction. Additionally, we need to understand how clients prefer to receive communication. Do they need text reminders for upcoming appointments? Do they prefer email for industry trends and updates? Would they like Messenger notifications for Live videos? Are they receptive to Chatbots for frequently asked questions? Video is becoming more prevalent on social platforms and it’s becoming more difficult to stand out from everyone else. In 2019 Christina plans to deliver more live videos, increase value of content, and be more strategic about video headlines. Christina says in-person networking cements the deal. Christina intends to seek more in-person conferences and conventions attended by clients and prospects and meet as many as possible in person. Christina’s advice to others is, don’t wait for perfection before taking action. Imperfection makes you real, people will appreciate knowing you are human and will be attracted to you. 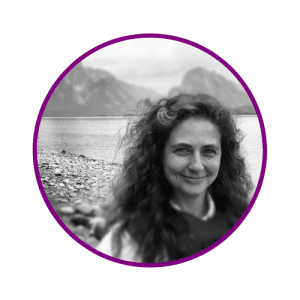 Michele works with Non-profit organisations. She enjoys coaching people who are doing work that is larger than them; work being done with a positive social impact; and for the betterment of others whether they are people, wildlife, or the planet. The key for Michele in 2018 was collaboration which she sees as a trend in the nonprofit sector. When nonprofits come together to collaborate they can share available grants instead of fighting over the same grant dollars. Organizations offering similar services should look into collaboration. Another shift she made was increasing automation in her business. She plans to continue streamlining day-to-day processes. Simplicity allows Michele to focus on her clients. Automation should be a priority for nonprofit organizations since many grassroots nonprofits are one or two person operations. Automating daily tasks frees up time so people can do the essential work of the nonprofit. Michele predicts for 2019 that it will be more difficult for non-profits to get the 501c3 designation. Her team sees more red flags issued by the Secretary of State regarding wording of mission statements, purpose for the designation, board member requirements, etc. The government wants to ensure that organizations wanting a 501c3 are in compliance, with full transparency. The application process can be daunting and if not done correctly, takes extra time to correct. The time delay prevents nonprofits from collecting donations that are tax-deductible for the donor. It also causes delays in applying for grants and other resources. It is best to get help and complete the application right the first time. 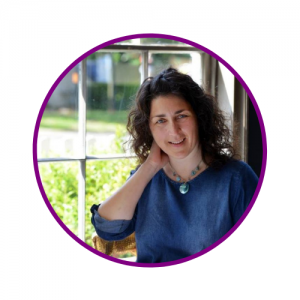 Michele will continue adding free courses to her Nonprofit Masterclass Series. The courses have been helpful to grassroots organizations considering the 501c3 designation. They teach important business skills that nonprofits and for-profit businesses need to be successful. The number one thing Michele tells people who want to work in the nonprofit sector is to be certain the work comes from your heart. When you are working with clients who give all of their heart and resources to serve a community, they want that same dedication from their consultant or coach. You need to be prepared to go on your client’s journey to help them be successful. Now that we built the foundations of your business, we will move to your visual online presence. Yes, it’s your website and branding. Either you are an artistic mind or a techy person, there is something for you. Let see what’s Renee and Julia have to say! 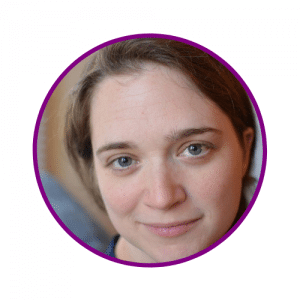 Julia teaches people in-demand tech skills to build beautiful websites so they can be location independent. Julia is traveling across America with her husband and dog in a camper. The most important things for Julia’s business in 2018 were working with a business coach and waiting for the right time to launch a course. In 2019 Julia believes people wanting online businesses will grow substantially. People of all ages are realizing they don’t have to do the ‘9-5’ in order to eat…they can work from anywhere. Online businesses (primarily those that involve in-demand, marketable tech skills) will be the most successful. 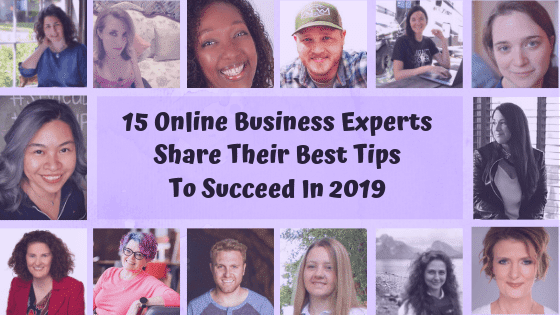 Her main goals for 2019 are to teach more people how to code, how to find clients, and how to run profitable online businesses….so they can be location independent. She will continue to promote courses and listen to the market to figure out what else people want to learn. If someone is interested in teaching technical skills, they should start out with Julia’s FREE 5 Day Coding Challenge to ‘dip your toes’ in the coding world and make sure it’s something you like/enjoy. That’s how Julia got started, so it’s how she tells people to start as well. Then, if they like coding, there are plenty of free resources out there, or they can continue on the journey with her and learn the ins-and-outs of WordPress. If you are interested to develop amazing WordPress skills from Zero to Hero, I would recommend you to take Julia’s course Geek Pack. I did it myself and its just amazing! 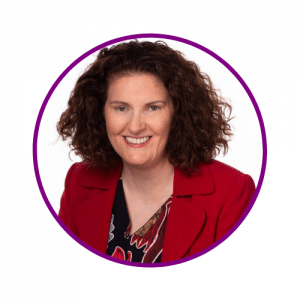 Renee is specialised in Visual Branding, WordPress and Funnel Design. She works with Change Makers around the world to showcase their products and services. Renee says looking back on 2018 one of the most important things for her business was the release of Gutenberg which brought WordPress into the world of page builders. She believes Gutenberg has a long way to go before it will compete with the plethora of page builders out there, but it is a change that will eventually be welcomed by all. Things she sees for 2019 are Distinct Brand Identities. People are increasingly aware of the importance and benefits of branding for their business. They understand that branding is more than a logo. Its importance in the ways they present themselves on and offline in all their communications and marketing efforts. Colour palettes return to a warm and moody vibe. She predicts there will be a resurgence of imagery that captures the essence of times past, combined with the crispness and definition of modern technology. Renee’s goals for 2019 are to expand her services to provide full brand experience packages. She will offer entrepreneurs and small businesses a comprehensive service that encompasses brand strategy, copy, on-brand photos for websites as well as social media. Also high-converting, user-friendly website designs. For someone who is interested in visual branding, she suggests getting a coach to help you learn and uplevel your skills, never stop believing in yourself, schedule a set amount of time to continue practising your skills every day. Create a structure and support system that will allow you to progress and succeed, and allow you to easily maintain all of your other responsibilities whilst building your own business. So we have the plan, the colour, the beautiful logo but what do we want to say to our audience? How can we attract leads but most importantly convert them into clients? It’s the role of the copy! It’s definitely what I hate the most and where I’m the worst. So let my exquisite feather’s friends enlighten you if writing is where you want to succeed! Amber helps impact-driven service providers pull out their magic and connect it to what their audience cares about so they have a brand full of meaning rather than just a business that serves a purpose. For Amber in 2018, having a clear signature service that helped people know exactly how to transform their brand made a huge impact on how she is able to serve. Additionally, she wouldn’t have been able to make the enormous shift she made as quickly as she did without the huge source of support from a small, close-knit mastermind community. In 2019 Amber believes we will see a shift in the way brands communicate to their audiences. In the past few years, there has been a growing focus on the use of tools like funnels, ads, webinars, and other marketing resources, but audience connection has been largely overlooked. In the coming months, we’ll see a shifted focus to relationships and people. Branding will be the central focus for this effort, so people can start understanding how to communicate and connect with those who need them. Then, they can put more meaning behind their efforts and the tools will work more effectively. Amber’s advice for anyone wanting to be a brand strategist is to pay attention to your clients. She developed Brandividuation by noticing what was missing in people’s businesses and creating a service to fill that gap. She believes branding is misunderstood and is much more than logos and colors. In order to be a successful brand strategist, one has to be willing to dive in deep with their clients, their clients’ clients and audience, and all the nuances of how a brand interacts with people. Branding from a surface level is ineffective. Be willing to put in hard work to uncover important things, like values, purpose, client’s story and philosophy, and all things related to the clients’ audiences as well. Ashley writes the awesome books that entrepreneurs need to be written but can’t make happen themselves. Ashley was born to write! The thing that carries Ashley through every shift, milestone, and new set of goals is commitment. Commitment doesn’t waver, no matter what it’s up against. 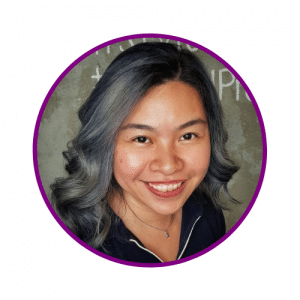 For 2018 specifically, she renewed her commitment to digital marketing by attending a conference, taking and implementing key training to level up, and joined a mastermind full of brilliant people. These steps can be taken in any industry. Things have been humming along fairly steadily in digital marketing, so Ashley expects some trends to shift. Maybe more paid challenges and fewer webinars, maybe more Instagram and less Facebook. 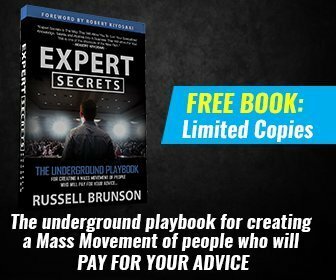 The one she wants to see every successful business use, is leveraging a killer book. Her hope is to see tons of book funnels in 2019! 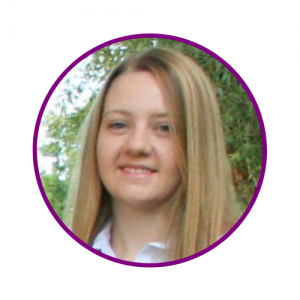 Ashley has been developing her writing, editing, and marketing skills for nearly 10 years. 2019 is the year she will claim her superpower and ghostwrite high-value business books to be used as powerful marketing tools. She will tackle this massive goal the same way she tackles everything: plugging in with her professional network, holding herself accountable to do the hard parts of business, and delivering great work every single time. The first thing anyone who wants to be a ghostwriter needs to do is get crystal clear on their desired outcomes. What do you want your work life to look like? Have as many conversations with people in the field as possible, and get a feel for how you might best fit. 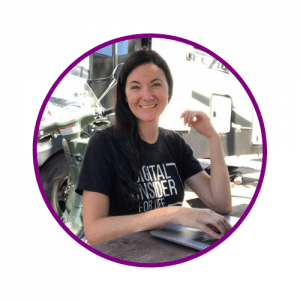 Digital marketing is a vast, creative, fun field to go into, and Ashley recommends getting good training to get started. Ghostwriting books is one thing requiring some experience before you can get off the ground. In general, the path is to go from writer/copywriter to book editor to ghostwriter, and that takes time. 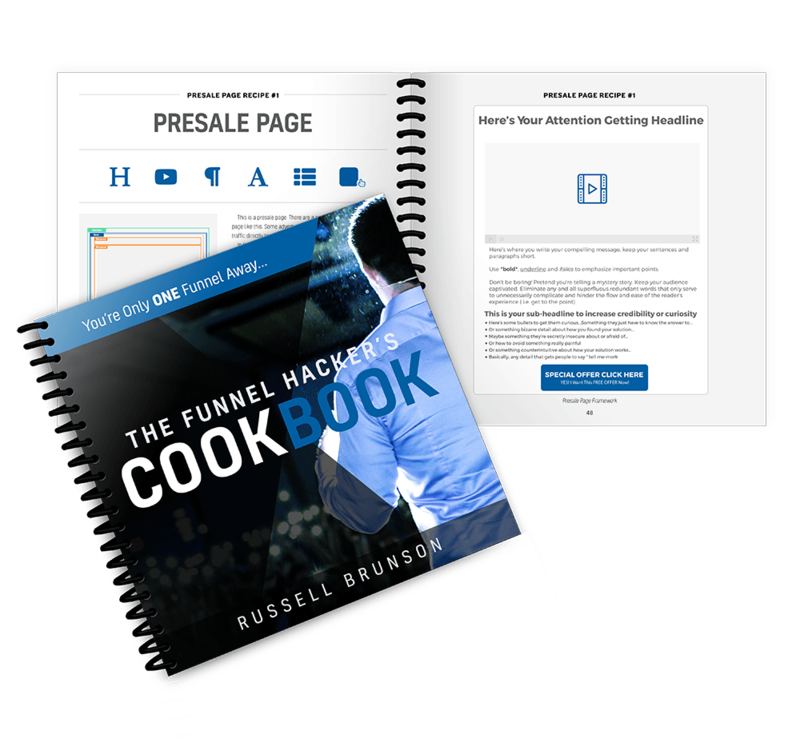 But learning how to build the funnels for the books… that can happen a LOT faster! Jannie saves authors and writers time from trying to figure out the best marketing strategy and promoting their book. Jannie leads a nomadic laptop life! Instagram helped Jannie’s business in 2018. She says even though authors and writers deal with the written word, pretty book covers partnered with well written blurbs builds connections with new readers. She predicts Instagram is going to be huge social media for promoting books. Audiobooks is also the new way to go in addition to the indie publishing industry. For 2019, Jannie would like to offer managing Instagram ADS. Similar to Facebook but a different audience and focus. She is excited to add this to her skill set and offer it to her authors. Jannie’s advice to those who want launch and market ebooks is to learn and do. Be active in one group and give back to the community. It is nice to learn but never forget to execute. Jen writes nurture emails for online entrepreneurs with heart-centered businesses to help them make deep connections with their audience. She will magically help you build your tribe! 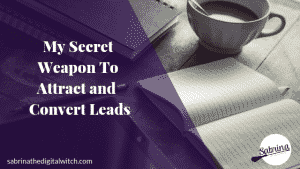 After spending several months writing different kinds of copy and content Jen found the type of writing she does with the types of clients she is serving. Once she found her niche, she made the shift to creating connections with amazing service-driven clients who are changing the world through their work. She says when you love the people you’re serving, success follows. Another important factor in achieving her 2018 goals was finding the right mentors whose advice she trusts. They’ve nudged her in the right directions and pushed her to step out of her comfort zone. The key was finding the right mentors. Jen says there are all kinds of “gurus” competing for your attention (and money), and they may not be right for you. When you find the right mentor that speaks to what you really need, everything grows exponentially. In 2019, Jen thinks there will be a similar shift in copywriting: away from the loud, obnoxious, “used car salesman” feeling of being talked at toward a more empathetic approach to talking with audiences. Jen’s goal this year is related to creating work with meaning. Though she has “numbers” goals for her business, it’s important to her to be engaged in meaningful work that makes an impact for others as her business grows in 2019. That means being intentional about the clients she works with, ensuring that she can provide value for them and their audiences, and that she cares about the work they’re doing and the audiences they serve. Jen’s advice for someone who wants to be a copywriter is to start now – before you’re “ready.” Writers often get stuck in their need to edit everything before it’s presented to the world, which holds them back. Just start, present a draft to the world, get feedback, then put out the next draft. Take your time finding your Zen. Don’t get hung up on needing to describe your Ideal Client Avatar before you start – you’ll find your ICA as you go along, and then you can do that write-up to solidify the types of clients you want to work with. Once you find Your Thing, take it and run with it. You’ve got this! Do you enjoy so far? What about adding some life into all of it? My next two friends are specialised in videos and live content. I love interactive content and live on Social Media!! Let see what they have to say. Dallin enables Entrepreneurs to become expert influencers with sales and story-driven content focusing on video, audio, copy and design. Dallin is an incredible filmmaker! In 2018, mindset 100% made all the difference (relates to every industry) but it was the biggest shift as far as positioning his business for a successful launch and now momentum for growth. Also, relationships are how success happens from the genuine people he can connect with. Dallin invested in many events and mastermind opportunities to meet with entrepreneurs of all industries to guide the strategy of his business. Speed of service in the way of automations blended with a human touch. Technology is rapidly making many services become commoditized, like content marketing, but the ability to be able to fit in the the shifts and create products/services that support provide a quick and quality service at scale is valuable to the rising numbers of entrepreneurs. 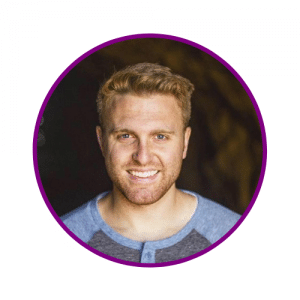 Dallin uses stories to enable entrepreneurs to connect, convert, and sell and the tools to make that happen are grounded in quality content like video and podcasts. He will launch a membership for storysellers to empower them with the mindset, community, and resources to use their story to sell and impact their own industries in more authentic ways. Dallin says investing in people, process, and tools to create a foundation for your business is the best way to begin. And, making sure your offer is irresistible with a consistent sales system for collecting new clients. And automated the service fulfillment side. Marie Clare works with local businesses. 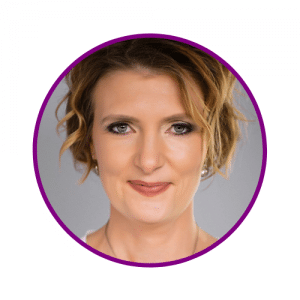 She creates quality content LIVE at your event to maximise brand awareness, generate traction and engagement! Marie Clare shines with her networking skills! The most important thing that helped Marie-Clare achieve her goals in 2018 was authentic content. People buy from people they relate to. Secondly, she doesn’t underestimate the power of connecting with influencers whether it’s a 15-year-old neighbour who is a youtuber/vlogger with a growing number of followers or influential celebrities specific to her industry. Marie-Clare predicts that in 2019 online businesses will embrace video even more. If they don’t they will be left behind. The value of using video for online promotion can’t be overstated. She says as attention spans are getting shorter every business that wants to be seen online needs to have a kickass video content strategy. One of Marie-Clare’s main goals in 2019 is to embrace video, by creating packages to meet her customer’s needs. Examples are creating regular video content, new and fresh content, and evergreen content that can be reused many times. She is creating a suite of video options available to business owners offering ways of creating content on a regular basis to promote their business. Marie-Clare’s advice for people want to offer video content is to know your customers, listen to them, solve their problems, show you care, be human and be humble. Have a well thought out and planned video content strategy for the 12 months of the year, knowing exactly the message you want to get to your customers and the best platforms to reach them on. 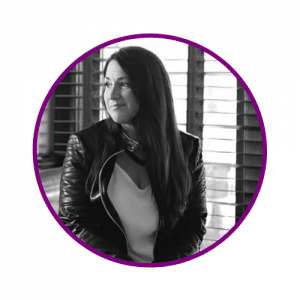 She will work with you and storyboard your ideas and bring them to life, showcasing you and your business authentically. Our last part can be your online business type or an income stream inside your business, I’m talking about Affiliate Marketing. I use passive income in my business but my friend, Marilee made it her business so let see what she has to say. Marilee helps other affiliate marketers to stay motivated and focused to achieve their goals through close to home tips and tricks. Marilee is a beautiful soul! Another lesson she learned was the power of outsourcing parts of her business that she wasn’t good at or didn’t know. · Sharing her knowledge with others. · Helping others through her Facebook group. · Cemented the information in her mind. · She wants to help even more people in 2019. Marilee thinks in 2019 there will be more emphasis on outsourcing. Affiliate marketing, though it takes a lot of work to get it set up, is a source of income most people gravitate toward in order to find time and financial freedom. This will be more of a focus for her in 2019. Another way to find freedom is by outsourcing, which will also be a big push for her in 2019. 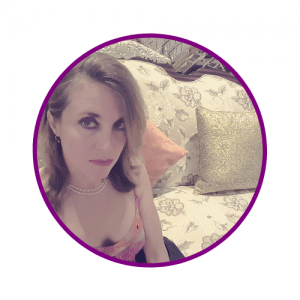 As an affiliate marketer, Marilee plans to qualify for the ClickFunnels Dream Car. She plans to reach this goal through paid and organic traffic: Google ads, YouTube, Instagram, and Facebook. Marilee is working with a coach to help her with earning $10k/month consistently; and believes everyone should have a coach. Start and grow a Facebook group where you share what you know and help as many people as you can. Also, jump into other groups in your niche and provide value and help as much as possible. Marilee says hiring a coach was one of the best things she did for her business. Find someone you trust, can afford, and is already at the level you want to be. Interview them first if you can. See their results and testimonials. Not only in their business, but also as a person. Do what you need to in order to stay motivated. Connect with other like-minded people and associate with people who believe in you. 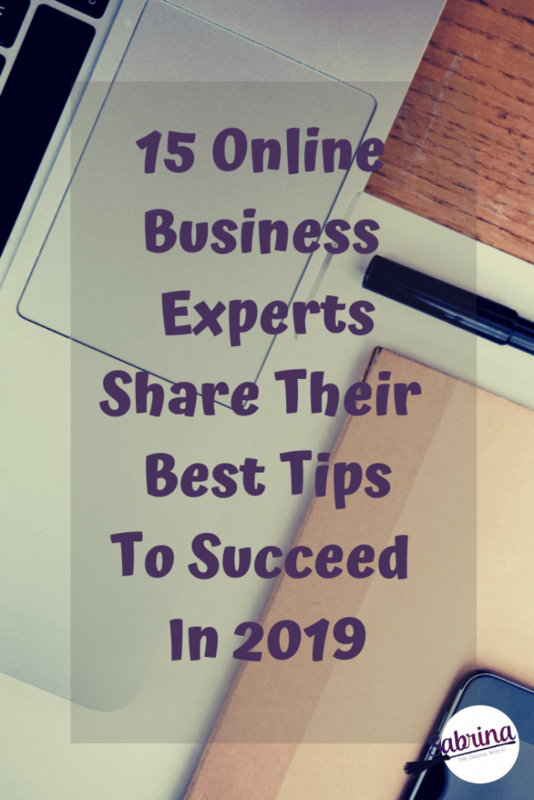 I hope you will find help and inspiration to start or grow your business through those online business experts’ answers. I enjoyed interviewing all my friends because growing a business can make you feel lonely from time to time; Sharing experiences, learning from others is valuable, encouraging and show you that everything is possible. If you have any questions, feel free ask in the comment section, I will gladly answer to them. Of course, if you prefer to have a chat with me, you can book a free 15-min call here. Do you think your friends would receive value from this article? Please share it! I also made it easy for you to pin it!